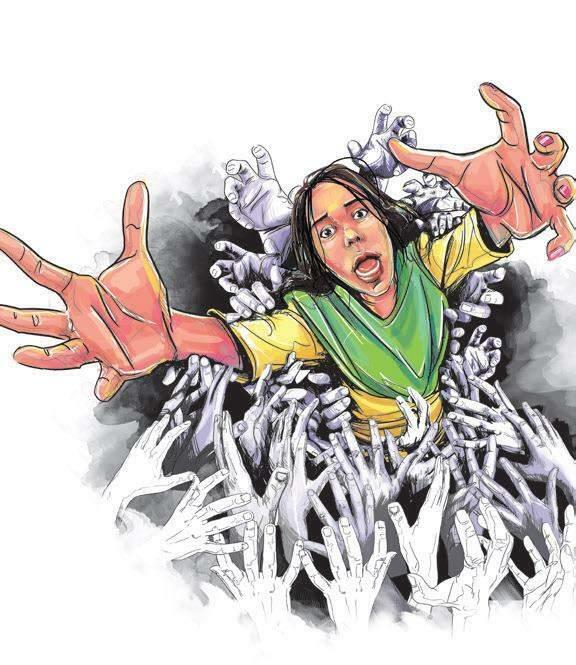 Patna, Feb 7: In a shocking incident, a teenaged girl was gang-raped in front of her father by six youths in a village in Bihar's Kishanganj district, police said on Thursday. According to police officials, the 19-year-old victim lodged a police complaint on Wednesday that six youth of her village under Kodhowadi police station knocked at her door late on Tuesday night asking for water to drink, but forcibly entered her home and dragged her outside. Her complaint said they took her to a deserted field near her house and gang-raped her in front of her father, who was taken hostage and tied to a tree. The victim also informed the police that the accused threatened her and father not to approach the police. A case has been lodged against all the named accused, Kishanganj Superintendent of Police Kumar Ashish said. Ashish said the accused are absconding and no arrest has been made so far. "I am personally monitoring the case and they will be arrested soon," he said.